If you’re looking to make some big changes to your life in 2019, you won’t want to miss Paul McKenna’s new tour of the UK and Ireland. 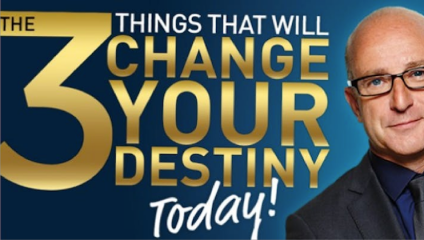 Paul has investigated methods of therapy, coaching and personal change to create an amazing new system that will help people gain power over their lives, release their potential and master their destiny. This unique event sees Paul McKenna Ph.D. speaking live to help his audience get in touch with what they really want, and focus their mind and body to achieve it.